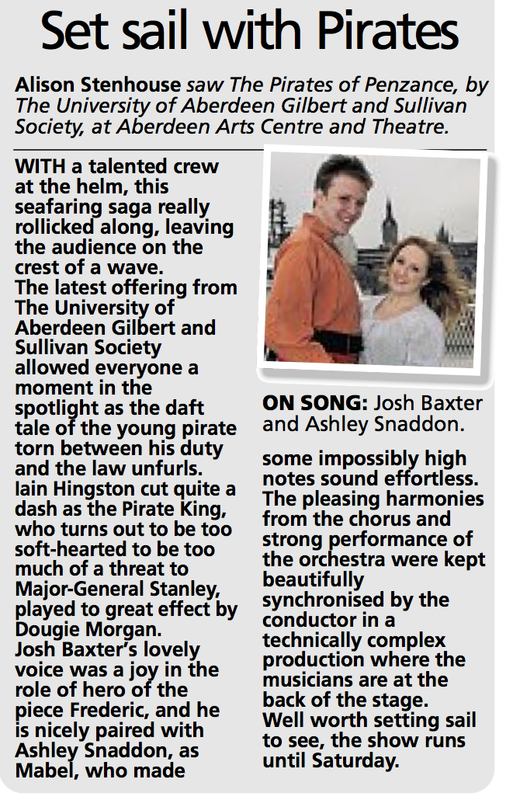 THE PIRATES OF PENZANCE : A Swashbuckling Success! 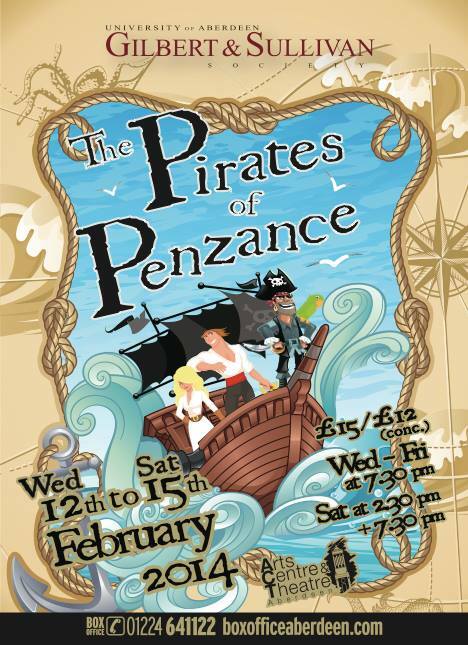 One of Gilbert and Sullivan’s best know works The Pirates of Penzance is full of the usual twists. A Pirate King with a forgiving streak, a group of cowardly Police, The Major-General and his many young daughters, a young lad with a true sense of duty and the story of young love in a plot that hangs around the fact that our protagonist is born on the 29th of February. 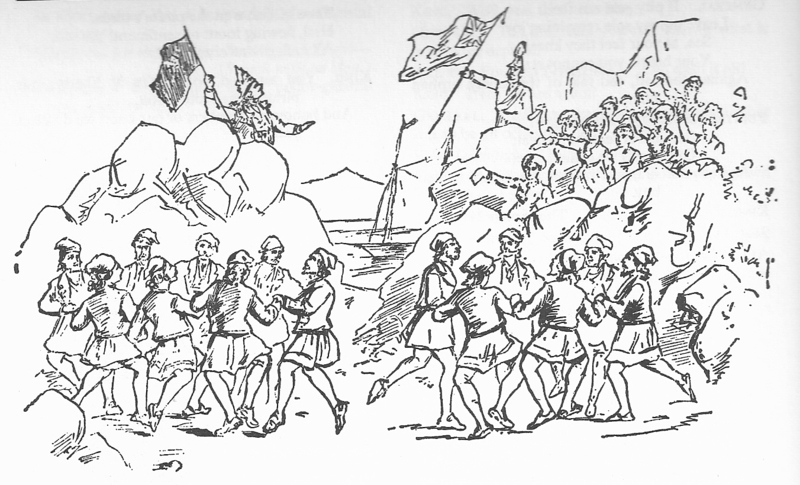 The scene opens on a rocky seashore and the Pirates are celebrating. Young Frederic has reached coming of age and has completed his apprenticeship so he may become a fully-fledged pirate. However in a shock to the whole crew he announces that he is leaving their band. 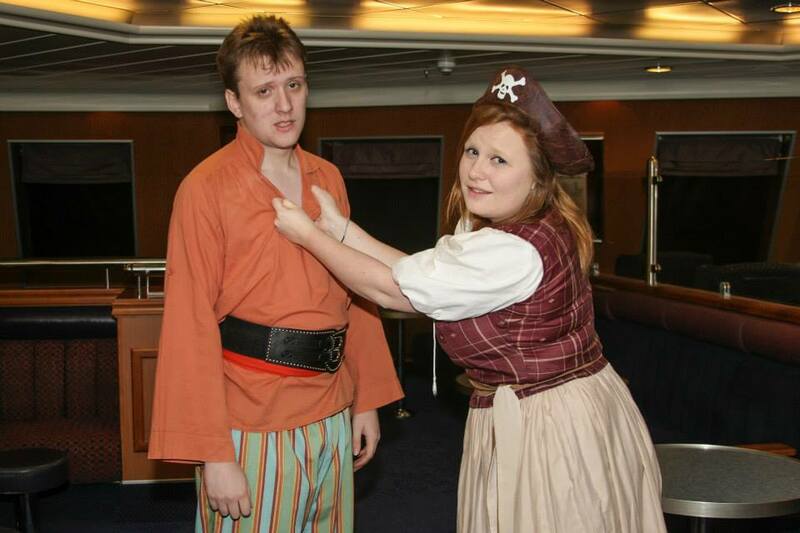 It is revealed that Frederic was mistakenly apprenticed to a pirate when he was a child. Although Frederic had abided their pillaging and plundering ways, he had never approved of the profession. He did not abandon his apprenticeship out of a strong sense of duty and now that same sense of duty drives him to leave and bring the pirates to justice. Ruth his nanny who has lived aboard ship with him through his apprenticeship wants Frederic to marry her and tries her best to persuade him that she is beautiful enough for him. Not hard considering she is the only woman he has seen since he was eight. Alas for Ruth, Frederic happens upon a group of beautiful young maidens. He falls in love with Mabel who is the youngest of the group, all of whom are the daughters of Major-General Stanley. 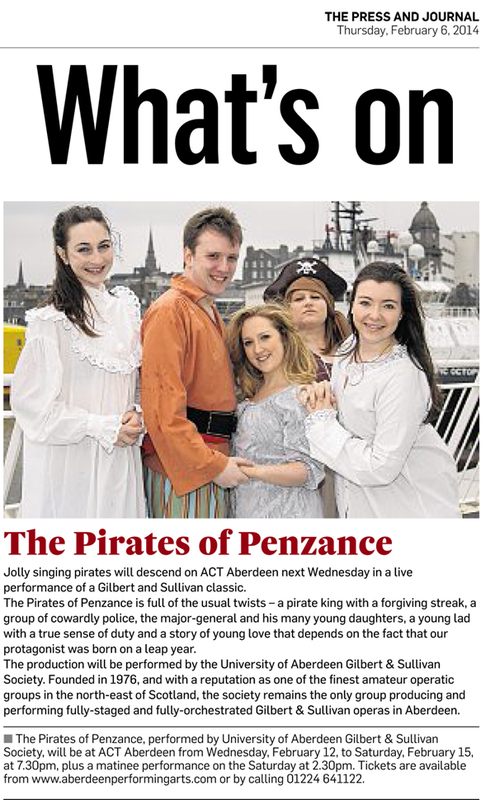 The act closes with a scene in which the pirates try to kidnap the Major-General’s daughters to marry them. The Major-General happening upon the scene begs for their release claiming that he is a poor orphan boy and that he would be all alone in the world without them. 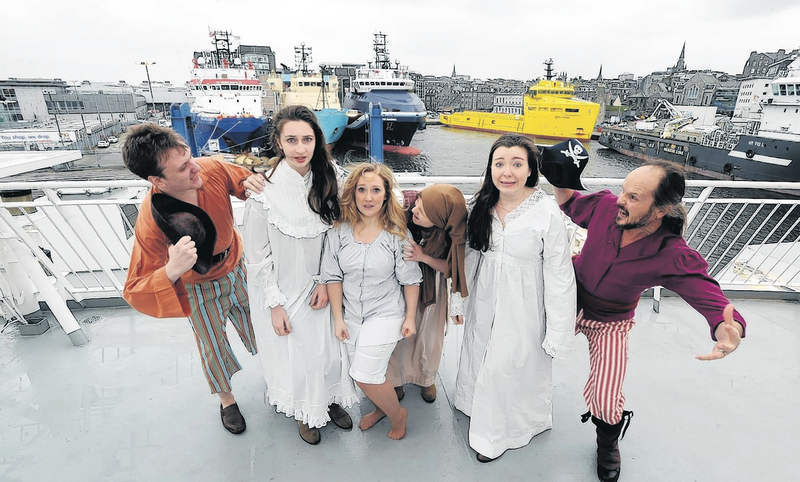 The pirates are all moved by the Major-General’s story as they are orphans themselves and in an act of sympathy give up their plans for marriage. 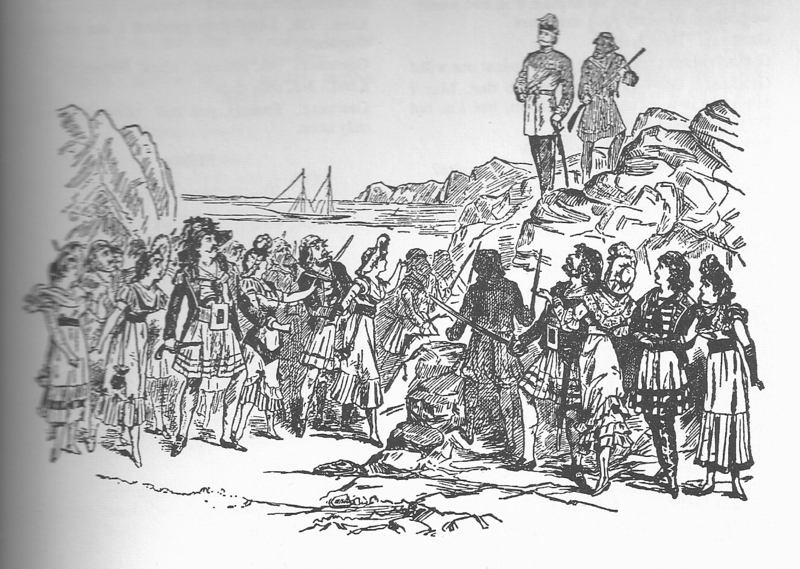 Act 2 opens with the revelation that the Major-General has lied to the pirates. He is beset with the agonies of conscience and he fears the consequences of his deception should he be discovered. Frederic meanwhile is charging ahead with his plan to bring the pirates to justice. He arranges for the reluctant local Sergeant of Police and his force to help him capture them. In a swing of fate, Ruth and the Pirate King return to inform Frederic that though an unusual circumstance he is still bound to be a pirate. Frederic’s strong sense of duty sees him join them again despite his heartbreak and Mabel’s heartfelt plea. Returning to the pirates Frederic is compelled to reveal the Major-General’s rouse. The Pirate-King rushes off to muster his crew to seek vengeance and the Major-General shortly find himself under siege. Help is at hand though as the police have mustered some courage and a fight ensues. Ferocious pirates against nervous bobbies: what are the odds? Which side will Frederic finally choose? Will blood be shed, or will all end happily? The Pirates of Penzance opened in New York on December 31, 1879. On the previous day, D’Oyly Carte’s touring company had presented Pirates for the first time – to an audience of fifty in the tiny Bijou Theatre in the seaside resort (remember the date) of Paignton, Devon. Not only was this a decidedly makeshift performance (the actors wearing Pinafore costumes and in some cases carrying their scripts in their hands): it was of a draft version of the opera, differing in several respects from the version about to open in New York; but it served to establish the British copyright! The full-scale London premiere was held three months later, on 3rd April 1880. Line drawing from the programme of the New York production. 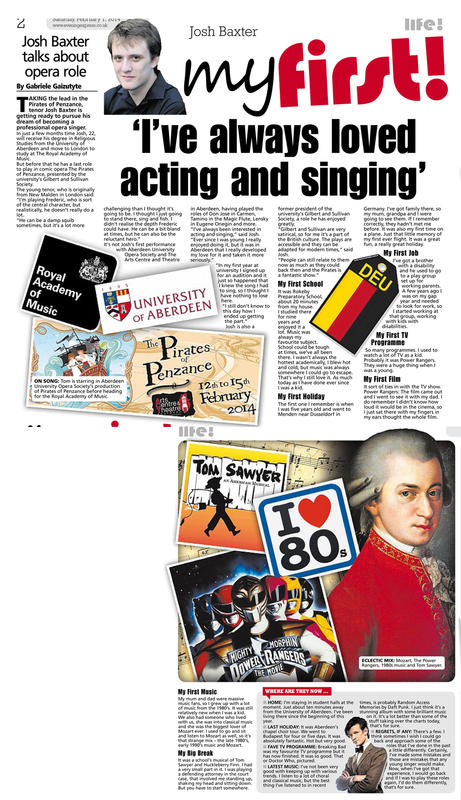 Musically, Pirates is much the most ambitious of Sullivan’s scores up to that point: indeed, the New York theatre orchestra went on strike three days before the opening night, claiming that this was not light opera but grand opera and they were therefore entitled to higher rates of pay! Sullivan successfully faced this down, threatening to send a cable summoning the Covent Garden orchestra and to accompany the performances himself on the piano until it arrived (a fantastic double-bluff). Dramatically it is notable for the most elaborate use of the chorus to date, with strongly contrasting music for the male and female choruses and the dividing of the male chorus in Act II into Pirates and Police. It also contains the first instance of Gilbert’s device of introducing a major new character (the Sergeant) in Act II, which he was to re-use in several of the later operas, including The Mikado. The verdict of critics, who had been eagerly waiting to see if the new opera would match the success of Pinafore, was, in summary, that musically it was a much greater achievement (this was also Sullivan’s own opinion), but being less immediately catchy would probably not be as enduringly popular. Its initial run was indeed well short of Pinafore’s, though certainly good enough at 363 performances; but its lasting popularity can match that of any other opera in the canon: it has been a top favourite with audiences and amateur performers ever since its first appearance.